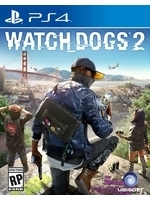 Watch_Dogs 2 is now available on PC, get the system requirements and recommended specs inside along with screenshots. Not likely, the game does not run well enough on my rig (and I don't know why but it does not look good at all, aliasing everywhere) and I don't really want to lose any more time trying to figure out what's wrong. nvidia just released a new driver, not sure if that will help you. Hi, it's really hard to figure out what's causing the problem without being able to do a lot of tests. My recommendation is for you to monitor your computer's resources using Windows' Task Manager if you know how to do it, a program or virus might be activating itself after a while. If you don't know much about Windows, my suggestion is for you to take your computer to an I.T. specialist so he can run tests, diagnose the problem(s) and solve it(them).